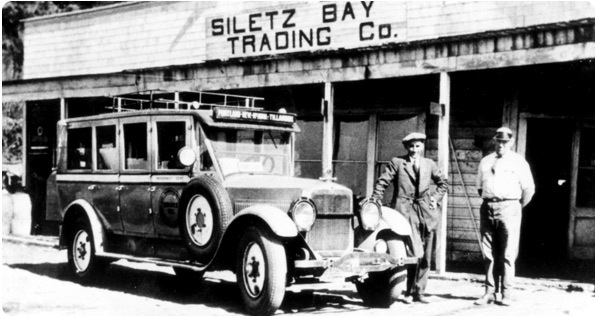 Siletz Bay Trading Company, 1925, with owner Fred C. Robison and Portland stage driver. A new and popular exhibit titled: Taking Care of Business, Early Ventures in Lincoln City, opened on March 30th in the museum’s upstairs gallery. 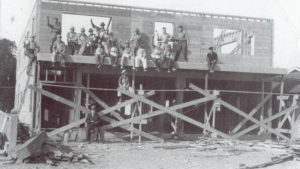 The exhibit highlights businesses that have had an impact on the development and character of Lincoln City. Featured are long-­lived businesses that have come to define our city because of their unique character and spirit of the people who have established and run them. Photos and artifacts illustrate the history of businesses like the Crab Pot and Delake Bowl that have been Lincoln City landmarks for decades. 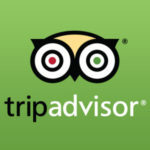 The Bijou, The Bay House, Ester Lee Motel, Surftides, The Dorchester House, and Snug Harbor are also included. 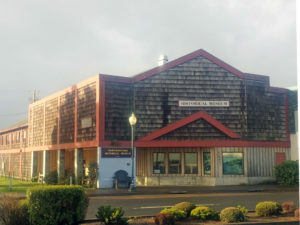 Although Pacific View Mortuary, now The Eventuary, and the Nelscott Cash Store have transitioned from their original purpose to more current uses, the history of the buildings they occupy is illustrated in this exhibit. This entry was posted in Past Exhibit Archives. Bookmark the permalink.